China has hit upon a propaganda double whammy. A new solar power plant in Datong has recently completed initial construction. 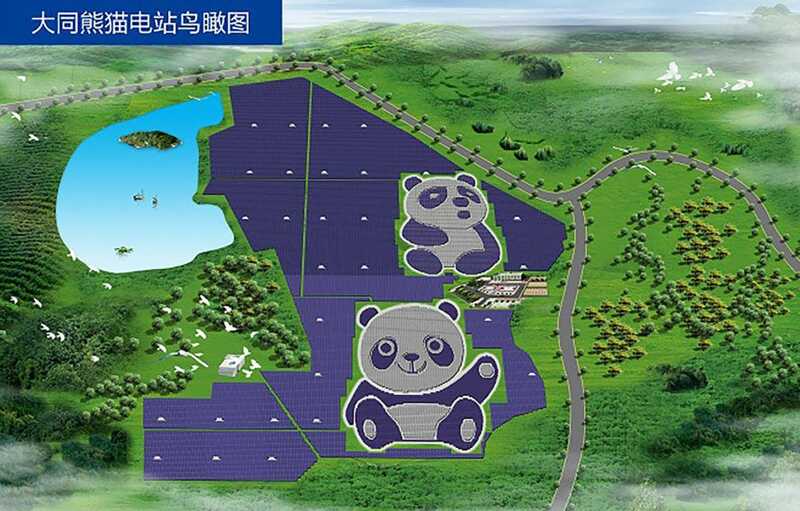 The renewable energy plant was built in the shape of a panda. Cleaning up China’s environment and pandas? What’s not to like? The pandas part; that’s what’s not to like. Stupid pandas. The initial 250-acre panda power plant was completed on June 30th. China Merchants New Energy Group, a state-owned energy company, states that when finished the power plant will generate 3.2 billion kilowatt hours of electricity over the next 25 years. It asserts that this will eliminate 2.74 million tons of carbon dioxide emissions as a result. Eventually, CMNEG plans to expand this plant in Datong to over 1,500 acres. This will include a whole extra panda. After all, what’s better than one panda? Why, two pandas! Wait…no pandas! By cleaning up its skies, China makes itself literally look better. By using the shape of China’s chief soft power tool (the panda) it reminds everyone of how cute and cuddly the CCP really is. There is also a domestic propaganda component. This power plant is being used as part of a summer camp program to educate young Chinese citizens about green energy tech. Nothing says fun in the sun and a break from school like science class! Gosh, won’t those kids have fun! CMNEG wants to engage in panda diplomacy. That is, using the symbol of the cute and cuddly panda to soften its own image. Since it’s a state owned company, it’s just a proxy for the CCP. Like the One Belt, One Road Initiative, the green energy company wants to invest in foreign countries. That investment could be the construction of similar panda shaped power plants to that in Datong. So while you’re deeply in debt to China over your power plant, you can at least be sure the symbol of your debtor overlord is cute! 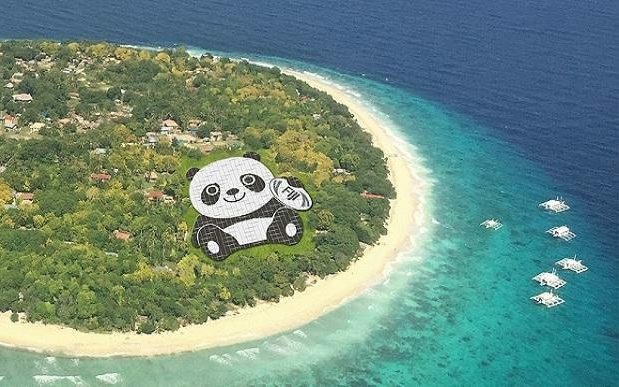 I wonder if Canada builds one of these, the Panda will be sitting on Justin Trudeau’s lap. One can only hope.